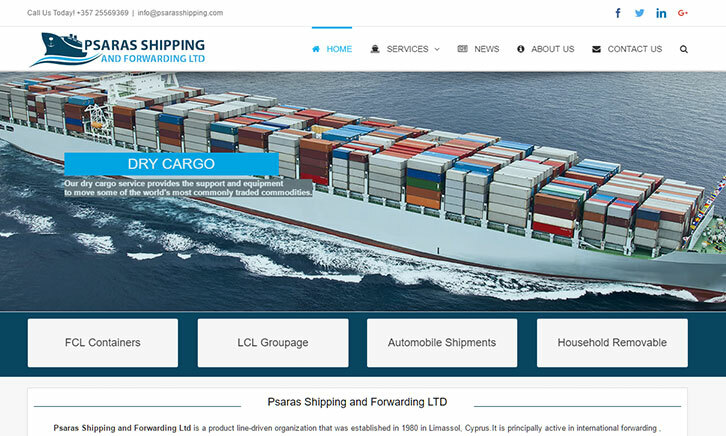 Psaras Shipping and Forwarding Ltd is a product line-driven organization that was established in 1980 in Limassol, Cyprus.It is principally active in international forwarding , warehousing and customs clearance. Our company is a family-owned and operated business, providing the highest quality personalized service for all of your international needs. Psaras Shipping and Forwarding Ltd has since developed into a full service international moving company, offering door-to-door service throughout the world. Psaras Shipping and Forwarding Ltd, recognize the importance of maintaining a strong relationship with every customer, in an honest and positive way, providing an excellent service and friendly environment. We are flexible to customers’ needs and give attention to detail. We provide our customers with all the information while giving value for money at the same time. We aim to make customers feel valued and provide that little bit extra.